Alongside the newly released 9.7-inch iPad, Apple has also made available iOS 11.3 final version for the said device ahead of the software going out to the public for every other device. As Apple tends to keep a feature or two back during the beta process, only adding them in that final or Golden Master release, tinkers have been looking through this 9.7-inch iPad specific final version release in order to see what’s new. As it turns out, there might be something new, but it’s not likely to be something you expected. The strings were apparently spotted inside what Rambo describes as an accessibility bundle, a component that is used to provide audio descriptions of features within iOS for those who are visually impaired. The suspicion is that this bundle will be one that is used for the Apple Watch app on iOS, the same app that is used for configuring an Apple Watch. 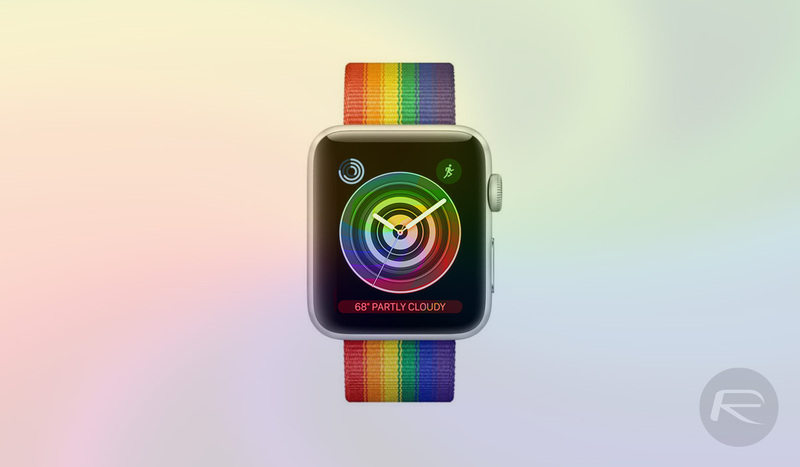 Apple had a history of pride related accessories, selling a pride watch band for a period of time, although it is no longer available. The arrival of a pride watch face makes plenty of sense given Apple’s past support for pride as a whole, and we expect to learn more about this either when iOS 11.3 ships for all devices or watchOS 4.3 final arrives on the Apple Watch. Why phags had to ruin the ?rainbow? ?